Get all the plants you will need this Spring in one place! We will have everything from ferns to succulents to perennials and many more at great prices. Located in our big white tent outside, this is a sale you don't want to miss. Regular store hours apply. 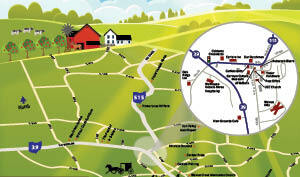 What to do on Sunday in Amish Country?